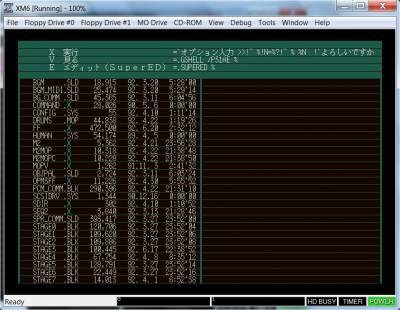 Here is the result of many days spent as a gratitude to my X68000 for being a so much fun system to use. Domo arigato Mr.Roboto. 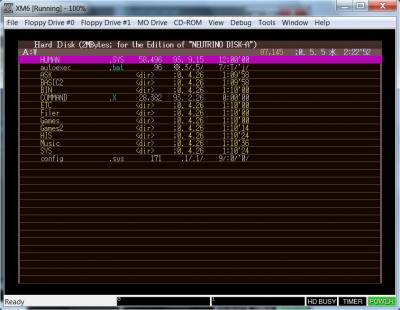 Without any further ado I proudly present to you my compilation of Games and MDX (music files) as a hard disk image. 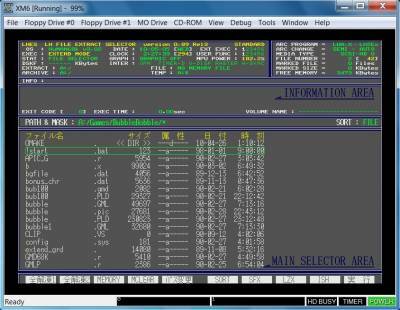 It can be used with emulators and even restored to physical disk and then used on a real X68000. 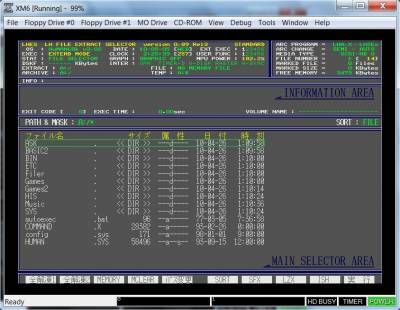 Start by extracting the files x68000.dim.001, masterdisk.xdf and sram.dat to your XM6 directory. Files can be easily extracted and added. In order to launch games from Games2 you will need to exit LHES by pressing the ESC key and Enter. After that DI will be automatically launched. From it you will be able to launch almost all of games that reside in Games2 directory. Some games must be launched from pure DOS (StreetFighter2 and MarchenMaze to name a few). Just go with DI to the desired directory and then press ESC. You will still be in the selected games directory. Type !start and hit enter. Have fun and keep the scene alive !